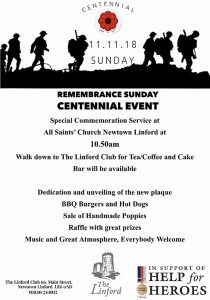 Special Commemoration Service at All Saint’s Church, Newtown Linford at 10:50. 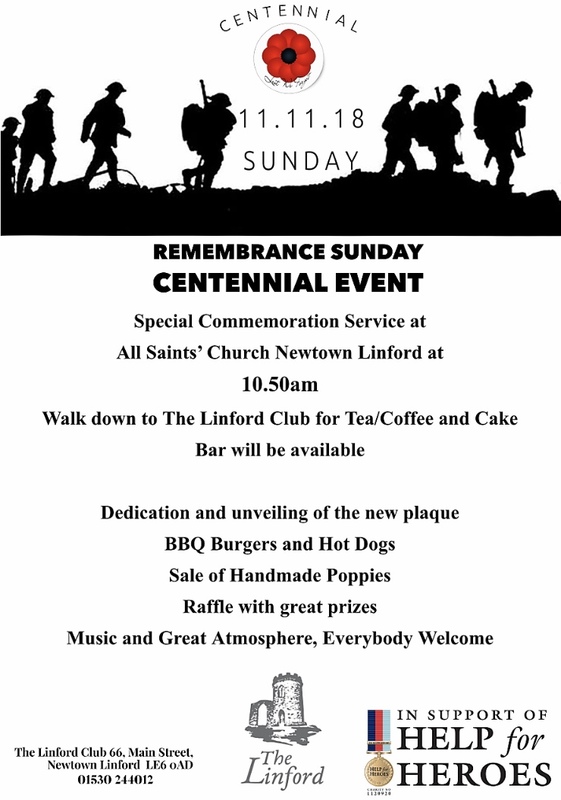 Walk down to The Linford Club for Tea/Coffee and cake. Dedication and unveiling of new plaque.